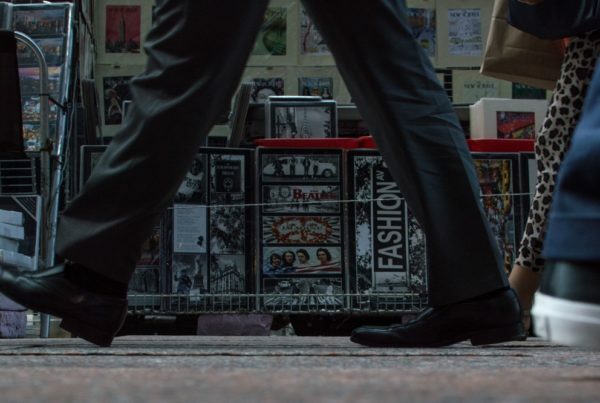 Jagdish N. Sheth and Can Uslay | The distinctive difference between the 1985 and the 2004 American Marketing Association definitions of marketing is the lack of exchange. In the new definition, a focus on creating and delivering value through customer relationships replaces the historical focus on the exchange paradigm. The authors welcome this change and discuss its implications, the limits of the exchange paradigm, the merits of value creation, and the future paradigm for marketing. Exchange has arguably been the foundational construct in marketing for several decades (Alderson 1957; Bagozzi 1975; Houston and Gassenheimer 1987; Hunt 1976; Kotler and Levy 1969) . The shift toward the exchange paradigm was crowned by the American Marketing Association (AMA) when the word “exchange” made it into the official definition of marketing in 1985 (the first revision since the adoption of the original definition in 1935) as a central theme: “Marketing is … to create exchanges that satisfy individual and organizational goals.” Since then, the prevalence of exchange in marketing has been unchallenged. “The act of exchange is the consummation and confirmation of the marketing process, and brings the marketing concept to life” (Anderson, Challagalla, and McFarland 1999, p. 9). “[T]here is a growing consensus that exchange forms the core phenomenon for the study of marketing” (Bagozzi 1975, p. 32). “Exchange is a central concept in marketing, and it may well serve as the founda-tion for that elusive ‘general theory of marketing’” (Bagozzi 1975, p. 39). Given its gravity in marketing literature, and once advocated as the fundamental subject matter of marketing (Bagozzi 1975, 1979), the word “exchange” is curiously missing in the new definition of marketing. In the new definition, a focus on creating and delivering value through customer relationships permeates over creating satisfactory exchanges. Could exchange be justifiably eradicated from the official definition of marketing? Was this change inevitable for marketing reform? We argue that the replacement of exchange with value creation is the distinctive difference between the 1985 and the 2004 AMA definitions of marketing. 1 We welcome this change and argue for the positive implications of a shift away from the sacred cow of exchange. To make our point, we discuss the limits of the exchange paradigm, the merits of the value creation para-digm, and the future paradigm for marketing. Exchange, the act of giving or taking one thing in return for another, is not unique to marketing and, by unspoken acclamation, is a central concept in virtually all human sciences (Anderson, Challagalla, and McFarland 1999). Exchange research can be found in economics, sociology, psychology, anthropology, political science, semiotics, education, theology, philosophy, medicine, military science, management, law, communication, and fine and performing arts. In his seminal work, Bagozzi (1975) describes three types of exchange: restricted, generalized, and complex. Most marketing exchanges are generalized (at least three actors benefiting one another only indirectly) and complex (at least three actors with at least one direct exchange and a web of relationships) rather than simply restricted exchanges (i.e., two-party reciprocal) (Bagozzi 1975). Marketing exchanges are also mostly mixed with both utilitarian (economic) and intangible (symbolic) aspects. These exchanges can be both internal to the household/business organization and external (Lusch, Brown, and Brunswick 1992). Marketing scholars have perceived exchange as the underlying key phenomenon for desired outcomes (Houston, Gassenheimer, and Maskulka 1992), with the premise that societies’ problems are solved only when exchanges occur (Bagozzi 1979). The proponents of the exchange paradigm seem to agree that “[e]xchange is not an end in itself” (Houston and Gassenheimer 1987, p. 10) and that “end is need satisfaction” (Houston, Gassenheimer, and Maskulka 1992, p. 131). Thus, the general framework for examining exchange has been exchanges need satisfaction. We contend that this framework is limiting for the conceptualization of marketing. There are practical limits on the generic applicability of all exchange processes, including the conventional marketing process (Anderson, Challagalla, and McFarland 1999, p. 11). Perceiving all human interaction as exchange “involves an untenable reduction-ism that grossly violates the real-life complexity by proceeding on the delusion of discovering simplicity in a complex socio-economic world” (Zafirovski 1999, p. 310). Thus, the exchange paradigm has been questioned by mar-keting scholars with respect to its ability to explain the relational engagement of firms (e.g., Grönroos 1990; Sheth, Gardner, and Garrett 1988; Sheth and Parvatiyar 1995; Webster 1992). At least a buyer and a seller must exist before a market exchange can occur. The origins of the marketing discipline extend from the distribution function, in which merchants (i.e., intermediaries) have historically played a dominant role. The preoccupation of marketing with distribution can be observed in early conceptions of marketing (e.g., AMA 1935). However, intermediaries are sellers and buyers but not necessarily the producers or consumers of their purchases. Until recently, this has led to an emphasis on buyer (e.g., the buyer behavior school of thought [Sheth, Gardner, and Garrett 1988]) and seller (i.e., the selling concept [Kotler and Armstrong 1991]) paradigms and a lack of attention on producer and consumer paradigms (Sheth 2002). The practical result of this has been a single-minded focus on the role of customers—that is, the role of the buyer/selector. Equally important are other roles that customers undertake, such as the role of the user (of products/ [auxiliary] services) and the payer (Sheth 2002). For example, in the typical treatment of a patient, the doctor is the selector (through prescription), the insurance company and the employer are the payers, and the consumer (patient) is the user of medical products and services. Similarly, in a household, the child may be the user for toys, the buyer may be the mother, and the payer may be the father. Similarly, the exchange paradigm leads to a focus on one role of the sellers—namely, that of the supplier. More important are other roles that sellers play, such as the role of the producer and the financier. For example, Dell not only has an efficient supply chain process in place for various models (supplier) but also makes customer credit avail-able through various options (financier), builds to order, and provides extended warranties/maintenance contracts (producer/customer support/service provider). Similarly, the biggest profit center for the automobile industry is not the dealerships (supply function) or the parent company (manufacturing) but rather the customer financing/credit operations (financing). However, the primary focus within the exchange paradigm has been on value in exchange (between the buyers and sellers) at the cost of ignoring and/ or deemphasizing other types of value created (between producers and consumers). Value in exchange is only one type of value. Performance and personalization value (defined by users) and value for money (defined by payers) expand the value space for firms (Mittal and Sheth 2001). Lusch and Vargo (2006) describe the virtuous shift from value in exchange to value in use. The value creation paradigm encourages marketers to think of other types of value by reaching beyond value in exchange and even value in use. For example, the long-neglected value in disposal (i.e., recycling, refurbishing, or sale of used equipment/ machinery) is quickly becoming a multimillion dollar side business for many Fortune 500 firms. Similarly, both Google and eBay have become corporate giants in a short time by focusing on value in information and value in possession, respectively, in addition to value in exchange. More important, the activity emphasized here is not limited to creating value for the main actors through exchange (sellers and buyers). Multiple stakeholders are involved, such as suppliers, community, and society at large, and value cannot be created in isolation of the stakeholders. In short, the exchange paradigm limits the perceived roles and responsibilities of both marketers and consumers, whereas these are broadened for both parties under the value creation paradigm. Value creation also provides an explanation for the development and growth of intra- and extra networks. Unabridged gaps in networks form structural holes. Value is created when two individuals/institutions with complementary resources are connected. Marketing functions (e.g., marketing- mix activities, selling, marketing research) all inherently strive for value creation. Even pricing is designed for value, as demonstrated by the bundling of ser-vices (e.g., triple play in telecommunications) and price promotions (e.g., rebates, two-for-one sales). This drive for value creation through differential advantage fills the void in the structural holes between and within producer and consumer networks that do not interact with each other (Alderson 1965, 2006; Burt 1992). The presence of structural holes in a producer’s network is a significant predictor of profit margins because the producer is rewarded by the market for connecting the missing links (Burt 1992). In this sense, marketing creates value by assuming the critical intermediary role between the firm and its target market. Marketing also creates value by intermediating structural holes (Burt 1992, 2004) internally with its demonstrated inter-functional coordination benefits within the firm (Narver and Slater 1990). The Internet revolution has actually produced new intermediaries, such as eBay and Amazon, to fill these structural holes between producers and consumers. Because the basis of society is social networks, marketing streamlines these networks for value. For example, a producer network in China needs a distributor net-work in Hong Kong to serve U.S. consumer networks. A key characteristic of the industrial age has been high fixed capital requirements, excess capacity, and highly leveraged firms that need to sell more just to survive. Coupled with the need to please the Wall Street quarterly, there is ongoing pressure for volume and market share through market exchanges whether they create value for customers or not. Marketers have been criticized for misleading consumers to believe that more value will be gained than is realistic to make the sale (Robin 1995). It could also be argued that marketing is at least partially responsible for converting ongoing short-term debt into a socially accept-able phenomenon in the form of credit cards (Frenzen, Hirsch, and Zerillo 1994). Marketing has been expending its credibility in the eyes of business professionals and consumers because of quick and dirty fixes to the bottom line and thus are being increasingly ignored by them (Sheth and Sisodia 2006). If marketers resist short-term pressure and avoid deceptive, covert practices as the solution to make the numbers, marketing’s public image will improve. In this respect, we expect that the value creation paradigm will decrease the pressure to sell and encourage a long-term orientation. The existing exchange framework (exchange desired outcome) has been erroneously interpreted to imply that the more the number of exchanges, the higher will be the level of the desired outcome. The notion that involved parties want to or should optimize the number of exchanges rather than maximize them has been largely overlooked. This has had significant repercussions for boosting identical and repetitive exchanges (and, consequently, the commoditization of markets that comes back to haunt the firms, as the airline industry experienced). Recent customer relationship management studies have also begun to demonstrate the waste and suboptimalities due to this problematic stance (Reinartz and Kumar 2003). Value creation depends and thrives on the quality and variety of personal experiences it enables (Leavy and Moitra 2006). We expect that the value creation paradigm will accelerate the innovation rate, variety, and experience quality of marketing. Self-interest and opportunity costs have been foundational themes for economists, even for nonconventional topics, such as the theory of marriage (accounting for the intrinsic utility of reproduction) (Becker 1973) and the theory of prostitution (accounting for the forgone opportunity for marriage) (Edlund and Korn 2002). This purely utilitarian approach still dominates in economics and fre-quently finds its way into marketing practice. For example, the recent trend in both the banking and the airline industries to charge for keeping the account or for meals and beverages is bound to provoke consumer backlash. Although this stance meshes with the exchange paradigm, which is driven by self-interest (win–loss), value creation is inherently about mutual interest (win–win). The question of “why” is often omitted for “how” and “what” in the exchange paradigm, but the same question is key for value creation. Simply considering this question would be a major improvement. The answer can reveal new or alternative solutions to customer problems and boost value consider-ably. For example, Home Depot engages the customer (with do-it-yourself), finds out why he or she wants some-thing, and shows the customer how to fix things rather than replace them. This can be the difference between getting a new faucet installed (e.g., $200 and time costs) and self-fixing it in minutes for $2.50 (Marcus, Blank, and Andelman 2001). We expect that the value creation paradigm will accelerate the study and practice of mutual interest for differential advantage. The classic make or buy decision is at the heart of human behavior. However, pure make or buy decisions, which lead to discrete exchanges, are rare. Markets are inherently dynamic, and (a static optimal) market equilibrium does not exist. The transfer of ownership and possession is over-emphasized in the exchange paradigm, which implies equilibrium for each state. Notably, possession utility has become less important in an increasingly services-based economy, in which customers pay for usage and not for ownership. Therefore, we expect that the value creation paradigm will accelerate solution offerings that are not bound by or preoccupied with possession utility. A consumer’s ability to evaluate his or her inter and intra organizational options (alternative satisfactory out-comes) is rather limited because of high asymmetry of information between agents within the exchange paradigm. It is simply assumed that all agents try to maximize their own utility within social, legal, and cognitive constraints. In contrast, dialog, access, and transparency between the agents are primary features of value creation (Prahalad and Ramaswamy 2004). Acceptance of the value creation paradigm has major cultural, social, and economic implications by reducing the level of asymmetry of information between the agents. Public policy will be necessary in governing this evolution (e.g., firms initially resisted labeling laws for pro-viding package information [Leavy and Moitra 2006]). Concurrently, value creation should ease the pressure on policy makers by significantly enhancing familiarity, shared knowledge, and participation among actors and, thus, diminishing abuse among them. Increased involvement should decrease opportunities for corruption and establish a balance of power through interdependence and mutual respect. 2 Sellers also prefer that the customers are reputable and honest in their dealings (Granovetter 1985). Value creation generates responsible consumers and managers by engaging them in problem solving. Thus, with value creation, we may finally proceed toward outsourcing social responsibility to whom it primarily belongs: individuals. Most impractical regulations and penalties have been enacted in a caveat emptor world to protect the weak: consumers. In this world, consumers complain, they are not informed, they are a hazard to themselves, and they are potential problems to the firm. In this world, policy makers scramble to protect the consumers (i.e., victims) from exploitative marketers. Fortunately, this does not fit the reality of tomorrow’s society. Consumers are increasingly informed, connected, alert, and active (Prahalad and Ramaswamy 2004). Indeed, there are many examples in which customers take advantage of “dumb” marketers (Sheth and Sisodia 2006). We expect that the value creation paradigm will improve social alignment and engagement among marketing actors (i.e., makers, agents, and consumers). As with all definitions, AMA’s 2004 definition of marketing can be critiqued for various reasons, but the conspicuous absence of “exchange” is not one of them. 3 We applaud the shift away from the exchange paradigm. Conversely, perhaps the new definition is not bold enough to broaden our horizons further. What if the foundation of marketing is defined as the cocreation of value rather than as value creation or value exchange? In value creation, value is created in the firm and then exchanged with the customer, whereas in value cocreation, value is cocreated by the firm and the consumer (Prahalad and Ramaswamy 2004). The implication is that value cocreation is more than decomposing a process and shifting part of the work to the consumers (e.g., self-checkout or self-check-in counters). Extending the value creation paradigm further, the need for and desire of actors to cocreate value preempts and supersedes the need for exchange. With the value cocreation perspective, the transaction that takes place between Dell and a small business can blossom from a single economic exchange to a process in which the consumer and the producer collaborate (and not necessarily negotiate) for best total value through products, features, delivery terms, maintenance, and financing options on an ongoing basis. Thanks to the Internet and new automation technologies, one-to-one marketing (i.e., customization) has become widely feasible. Thanks to globalization, best practices are quickly observed by competitors and expected by consumers. Value cocreation will inevitably transform marketing and become just as pervasive in business-to-consumer markets as it is in business-to-business marketing. This transformation has already begun in services (Lusch and Vargo 2006). The definition of our discipline shapes marketing’s boundaries for practitioners (public and private), scholars (mostly marketing management scholars, but also market-ing modelers and consumer behavior researchers), and edu-cators (who cocreate future practitioners and scholars). Our reading of recent views on the new AMA definition of mar-keting and two recent books in particular (see Lusch and Vargo 2006; Sheth and Sisodia 2006) revealed that the new definition is criticized because (1) it is marketer and man-agement oriented and ignores marketing’s societal impact (e.g., Gundlach 2006; Wilkie 2006; Wilkie and Moore 2006); (2) it does not capture the prevalent, complex, and dynamic nature of networks (e.g., Gummesson 2006); and (3) it does not capture the intensity and value of interaction between marketers and customers (e.g., Berthon and John 2006). In this essay, we add the lack of value cocreation and the need to broaden from buyer–seller to producer– consumer perspectives to these criticisms. Our attention has only recently shifted to value cocre-ation (e.g., Prahalad and Ramaswamy 2004; Ramírez 1999; Sheth, Sisodia, and Sharma 2000). Value cocreation can extend to the whole spectrum: coconception (military and defense contracts), codesign (Boeing and United Airlines), coproduction (Ikea), copromotion (word of mouth), copric-ing (eBay, negotiated pricing), codistribution (magazines), coconsumption (utility), comaintenance (patient–doctor), codisposal (self-serve), and even co-outsourcing (captive business process outsourcing). 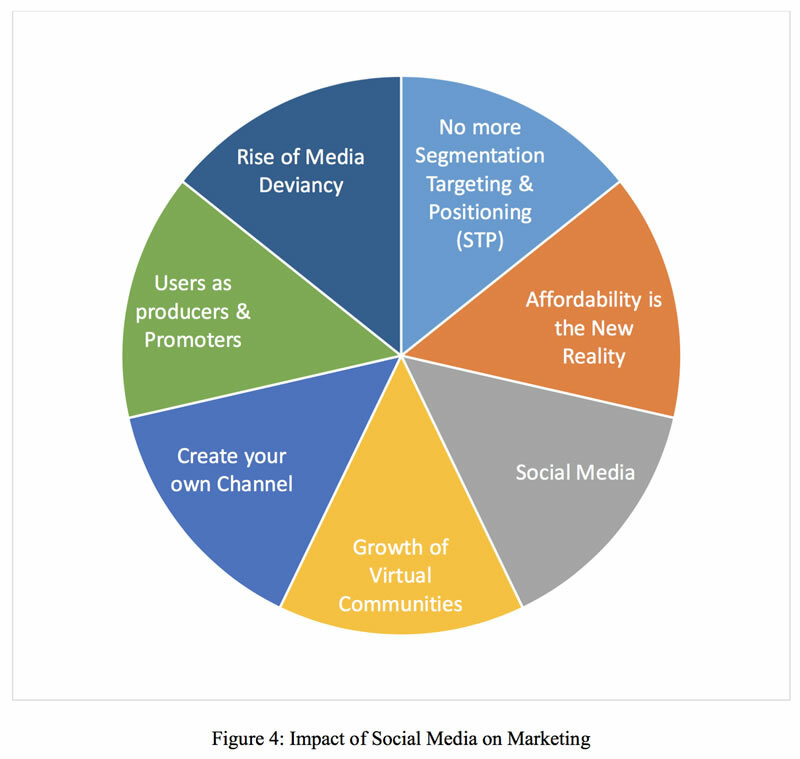 Networks that marketing interacts with to connect structural gaps include consumer, distributor, supplier, regulatory, and competitor networks. With this broadened perspective, cocreation is likely to result in an aggregate optimal value that is greater than the sum of two (or more) local optima, as in the case of exchange. Recent literature on the subject supports our view. For example, Jaworski and Kohli (2006) suggest that the notion of value cocreation should be actively extended (beyond self-service) to uncover customer needs and wants (i.e., voice of the customer), Lambert and García-Dastugue (2006) point out the benefits of value cocreation for the supply chain process, and Flint and Mentzer (2006) and Kalaignanam and Varadarajan (2006) argue for its benefits for an integrated value chain. The methodology/measure-ment, psychology, and sociology of value cocreation remain important areas for further research (Jaworski and Kohli 2006). 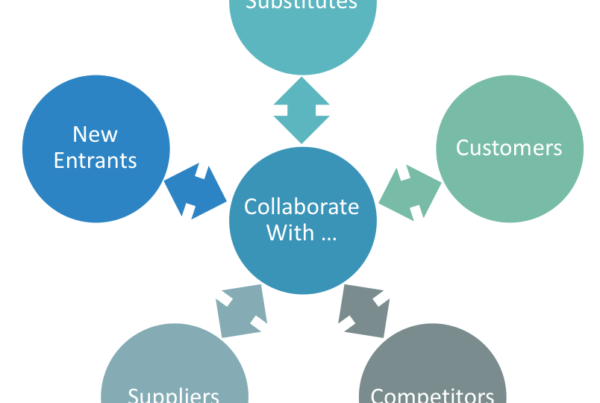 Success of the value cocreation process relies heavily on customers’ efforts and involvement. Thus, value cocreation effectively leads to greater interdependence among the main actors (consumers and producers), which in turn builds trust and sustains relationships. Alderson (1968, p. 10) emphasizes the importance of double “vicarious” search (by consumers and suppliers) in the marketing process. This was perhaps misleadingly interpreted to mean a search for exchange, whereas it might also have meant a search for colearning and cocreation. “Cooperation is as prevalent in economic activity as competition” (Alderson 1965, p. 239). Thus, we suggest that the building block for a broadened marketing concept should be the cocreation of value, and we call on marketing scholars to develop a theory of value cocreation. When this is accomplished, we envision that value cocreation will assume a central role in the next major revision of AMA’s marketing definition. During the final review process of this essay, it was brought to our attention by the special section editor that a revised definition of marketing has already been proposed by the 2007 AMA task force: “Marketing is the activity, con-ducted by organizations and individuals, that operates through a set of institutions and processes for creating, communicating, delivering, and exchanging market offer-ings that have value for customers, clients, marketers, and society at large.” This revised definition is certainly a step forward. It maintains a stakeholder perspective, and it does not limit the scope of marketing to organizations. The roles of institutions and processes, as well as marketing’s impact on society, are clearly acknowledged. Furthermore, the revised definition refrains from stating that marketing is about “managing” customers or relationships. It incorporates both the traditional view (the exchange paradigm) and the current one (the value creation paradigm). However, we firmly believe that the future of marketing will increasingly involve value cocreation. A key conceptual issue here is whether value cocreation is a special case of value creation, or vice versa. We believe that it is the latter. Value creation is a special case of value cocreation in which a single agent is dominant. In some cases, it may be the producer; in other cases, it may be an intermediary; and in some cases, it may be the consumer as the sole agent who creates value, and other actors become enablers. Similarly, cocreation of values enables, in an inclusive way, other stakeholders, such as suppliers, investors, community, and governments, to con-tribute in value creation. Achrol, Ravi S. and Philip Kotler (1999), “Marketing in the Net-work Economy,” Journal of Marketing, 63 (Special Issue), 146–63. Alderson, Wroe (1957), Marketing Behavior and Executive Action. Homewood, IL: Richard D. Irwin. ——— (1965), Dynamic Marketing Behavior. Homewood, IL: Richard D. Irwin. ——— (1968), Men, Motives, and Markets. Englewood Cliffs, NJ: Prentice Hall. ——— (2006), “Competition for Differential Advantage,” in A Twenty-First-Century Guide to Aldersonian Marketing Thought, Ben Wooliscroft, Robert D. Tamilia, and Stanley J. Shapiro, eds. New York: Springer, 115–42. Anderson, Wilton Thomas, Goutam N. Challagalla, and Richard G. McFarland (1999), “Anatomy of Exchange,” Journal of Marketing Theory and Practice, 7 (Fall), 8–19. Bagozzi, Richard P. (1975), “Marketing as Exchange,” Journal of Marketing, 39 (October), 32–39. ——— (1979), “Toward a Formal Theory of Marketing Exchange,” in Conceptual and Theoretical Developments in Marketing, O.C. Ferrell, Stephen W. Brown, and Charles W. Lamb, eds. Chicago: American Marketing Association, 431–47. Becker, Gary S. (1973), “A Theory of Marriage,” Journal of Political Economy, 81 (4), 813–46. The Service-Dominant Logic of Marketing, Robert F. Lusch and Stephen L. Vargo, eds. Armonk, NY: M.E. Sharpe, 196–207. Burt, Ronald S. (1992), Structural Holes: The Social Structure of Competition. Cambridge, MA: Harvard University Press. ——— (2004), “Structural Holes and Good Ideas,” American Journal of Sociology, 110 (September), 349–99. Edlund, Lena and Evelyn Korn (2002), “A Theory of Prostitution,” Journal of Political Economy, 110 (1), 181–214. Flint, Daniel J. and John T. Mentzer (2006), “Striving for Integrated Value-Chain Management Given a Service-Dominant Logic for Marketing,” in The Service-Dominant Logic of Marketing, Robert F. Lusch and Stephen L. Vargo, eds. Armonk, NY: M.E. Sharpe, 139–49. Frenzen, Jonathan, Paul M. Hirsch, and Philip C. Zerillo (1994), “Consumption, Preferences, and Changing Lifestyles,” in The Handbook of Economic Sociology, Neil J. Smelser and Richard Swedberg, eds. Princeton, NJ: Princeton University Press, 403–425. Granovetter, Mark (1985), “Economic Action and Social Structure: The Problem of Embeddedness,” American Journal of Sociology, 91 (3), 481–510. Grönroos, Christian (1990), “Relationship Approach to Marketing in Service Contexts: The Marketing and Organizational Behavior Interface,” Journal of Business Research, 20 (1), 3–11. ——— (1994), “From Marketing Mix to Relationship Marketing: Towards a Paradigm Shift in Marketing,” Asia-Australia Marketing Journal, 2 (August), 9–29. Gummesson, Evert (1993), Quality Management in Service Organization. New York: International Service Quality Association. ——— (1995), “Relationship Marketing; Its Role in the Service Economy,” in Understanding Services Management, W.J. Glynn and J.G. Barns, eds. New York: John Wiley & Sons, 224–68. ——— (2006), “Many to Many Marketing as Grand Theory: A Nordic School Contribution,” in The Service-Dominant Logic of Marketing, Robert F. Lusch and Stephen L. Vargo, eds. Armonk, NY: M.E. Sharpe, 339–53. Gundlach, Gregory T. (2006), “Whither ‘Marketing’? Commentary on the American Marketing Association’s New Definition of Marketing,” in Does Marketing Need Reform? Fresh Perspectives on the Future, Jagdish N. Sheth and Rajendra K. Siso-dia, eds. Armonk, NY: M.E. Sharpe, 105–108. Gutman, Jonathan (1982), “A Means–End Chain Model Based on Consumer Categorization Processes,” Journal of Marketing, 46 (Spring), 60–72. Houston, Franklin S. and Jule B. Gassenheimer (1987), “Marketing and Exchange,” Journal of Marketing, 51 (October), 3–18. ———, ———, and James M. Maskulka (1992), Marketing Exchange Transactions and Relationships. Westport, CT: Quo-rum Books. Hunt, Shelby D. (1976), “The Nature and Scope of Marketing,” Journal of Marketing, 40 (July), 17–28. Jaworski, Bernie and Ajay K. Kohli (2006), “Co-creating the Voice of the Customer,” in The Service-Dominant Logic of Marketing, Robert F. Lusch and Stephen L. Vargo, eds. Armonk, NY: M.E. Sharpe, 109–117. Kalaignanam, Kartik and Rajan Varadarajan (2006), “Customers as Co-producers: Implications for Marketing Strategy Effectiveness and Marketing Operations Efficiency,” in The Service-Dominant Logic of Marketing, Robert F. Lusch and Stephen L. Vargo, eds. Armonk, NY: M.E. Sharpe, 166–79. Kotler, Philip and Gary Armstrong (1991), Principles of Marketing, 5th ed. Englewood Cliffs, NJ: Prentice Hall. ——— and Sidney J. Levy (1969), “Broadening the Concept of Marketing,” Journal of Marketing, 33 (January), 10–15. Kuhn, Thomas S. (1962), The Structure of Scientific Revolutions. Chicago: University of Chicago Press. Lambert, Douglas M. and Sebastián J. García-Dastugue (2006), “Cross-Functional Business Processes for the Implementation of Service-Dominant Logic,” in The Service-Dominant Logic of Marketing, Robert F. Lusch and Stephen L. Vargo, eds. Armonk, NY: M.E. Sharpe, 150–65. Leavy, Brian and Deependra Moitra (2006), “The Practice of Co-creating Unique Value with Customers: An Interview with C.K. Prahalad,” Strategy & Leadership, 34 (2), 4–9. Lewis, Marianne W. and A.J. Grimes (1999), “Metatriangulation: Building Theory from Multiple Paradigms,” Academy of Management Review, 24 (4), 672–90. Lusch, Robert F., Stephen W. Brown, and Gary J. Brunswick (1992), “A General Framework for Explaining Internal Vs. External Exchange,” Journal of the Academy of Marketing Science, 20 (2), 119–35. ——— and Stephen L. Vargo, eds. (2006), The Service-Dominant Logic of Marketing: Dialog, Debate, and Directions. Armonk, NY: M.E. Sharpe. Marcus, Bernie, Arthur Blank, and Bob Andelman (2001), Built from Scratch: How a Couple of Regular Guys Grew the Home Depot from Nothing to $30 Billion. New York: Three Rivers Press. Mittal, Banwari and Jagdish N. Sheth (2001), ValueSpace: Winning the Battle for Market Leadership. New York: McGraw-Hill. Narver, John C. and Stanley F. Slater (1990), “The Effect of a Market Orientation on Business Profitability,” Journal of Marketing, 54 (October), 20–35. Prahalad, C.K. and Venkat Ramaswamy (2004), The Future of Competition: Co-creating Unique Value with Customers. Boston: Harvard Business School Press. Ramírez, Rafael (1999), “Value Co-production: Intellectual Origins and Implications for Practice and Research,” Strategic Management Journal, 20 (1), 49–65. Reinartz, Werner J. and V. Kumar (2003), “The Impact of Customer Relationship Characteristics on Profitable Lifetime Duration,” Journal of Marketing, 67 (January), 77–99. Robin, Donald P. (1995), “A Comment on Exchange, Perceptions of Value, and Relationship Marketing: Applying the Basics to the Future,” Journal of Marketing Theory and Practice, 3 (Fall), 38–40. Sheth, Jagdish N. (2002), “A Generic Concept of Customer Behavior,” Journal of Customer Behavior, 1 (1), 7–18. ———, David M. Gardner, and Dennis E. Garrett (1988), Market-ing Theory: Evolution and Evaluation. New York: John Wiley & Sons. ——— and Atul Parvatiyar (1995), “The Evolution of Relation-ship Marketing,” International Business Review, 4 (4), 397–418. ——— and Rajendra S. Sisodia (2006), Does Marketing Need Reform? Fresh Perspectives on the Future. Armonk, NY: M.E. Sharpe. ———, ———, and Arun Sharma (2000), “The Antecedents and Consequences of Customer-Centric Marketing,” Journal of the Academy of Marketing Science, 28 (1), 55–66. Vargo, Stephen and Robert F. Lusch (2004), “Evolving to a New Dominant Logic for Marketing,” Journal of Marketing, 68 (January), 1–17. Webster, Frederick E., Jr. (1992), “The Changing Role of Marketing in the Corporation,” Journal of Marketing, 56 (October), 1–17. Wilkie, William L. (2006), “The World of Marketing Thought: Where Are We Heading?” in Does Marketing Need Reform? Fresh Perspectives on the Future, Jagdish N. Sheth and Rajendra K. Sisodia, eds. Armonk, NY: M.E. Sharpe, 239–47. ——— and Elizabeth S. Moore (2006), “Examining Marketing Scholarship and the Service Dominant Logic,” in The Service-Dominant Logic of Marketing, Robert F. Lusch and Stephen L. Vargo, eds. Armonk, NY: M.E. Sharpe, 266–78. Zafirovski, Milan Levine (1999), “A Socio-Economic Approach to Market Transactions,” Journal of Socio-Economics, 28 (3), 309–334.